Adult Wood Duck Pairs are shipped as young adults and flight ready (unless you choose to have them pinioned). You will receive one male and one female adult Wood duck. Ordering a quantity of "1" will add one male and one female to your order. Adult Wood Ducks are found in North America, known as the most colorful duck with crested heads. Wood ducks have multiple colors including green, blue, red, tan, grey, and green, with unique red colored eyes. 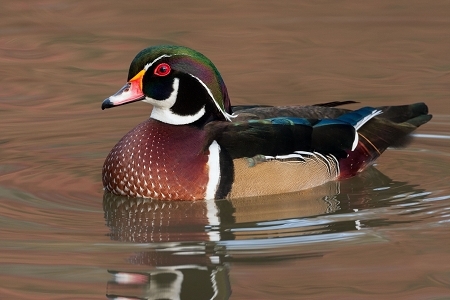 Male wood ducks are more colorful than females which have more white coloring. Wood ducks are a celebrated highly sought breed, highly recommended for backyard duck enthusiasts.